We're back with more dots! Follow along as we share tutorials and inspiration for using these fun prints. 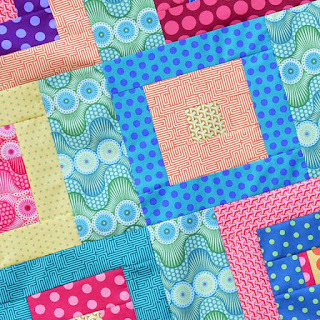 Today Lisa from Love to Color My World has a quick and easy quilt tutorial using a pinwheel of precut 2-1/2" wide strips. 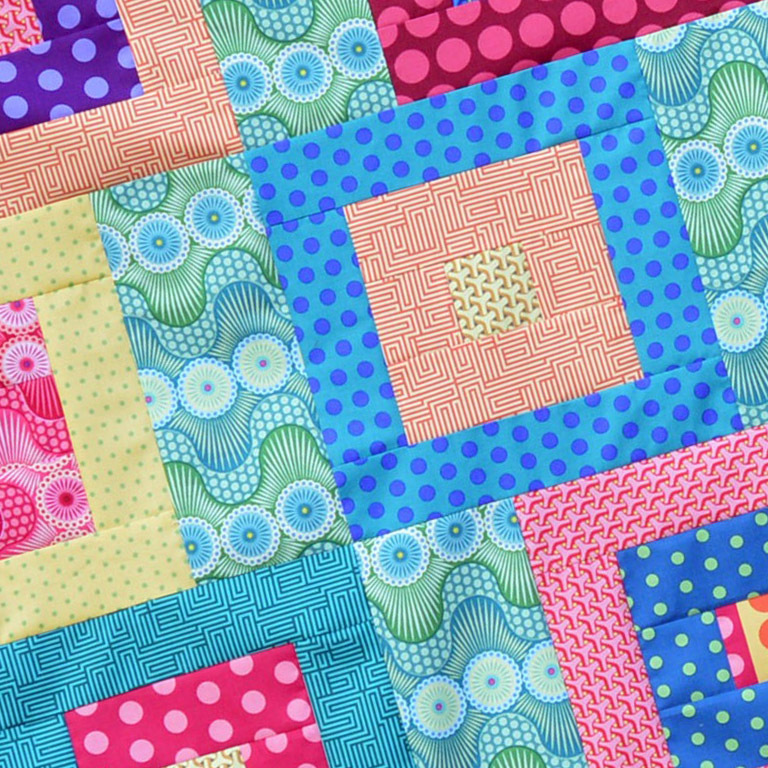 Head over to her blog to see more of the Dots Squared quilt and find out how you can win some Dot Crazy for yourself! I was a polka dot fabric fan prior to seeing Dot Crazy, and I absolutely love the vibrant colors and variety of dots sizes in these fabrics. I chose to make a project using precut strips--it's quick and easy, and the gorgeous fabrics make it look great!! Come over to my blog to see more. Click here to see the entire Dot Crazy collection. Click here to see more of Weeks and Bill's work. Click here to read the interview with Weeks and Bill about their Dot Crazy collection. An Up Close and Personal Visit with the Monsters! Free Pattern Friday: Holiday Edition!